Glenn Finke with the bust of Miyagi Chojun Sensei at the Jundokan So-Honbu Dojo in Naha, Okinawa, Japan November 2013. The instructors and staff at the Karate Quest Dojo facilities are led by Glenn Finke, who has been training in the martial arts since 1979. He has been recognized as a Roku-Dan (Sixth-Degree Black Belt). 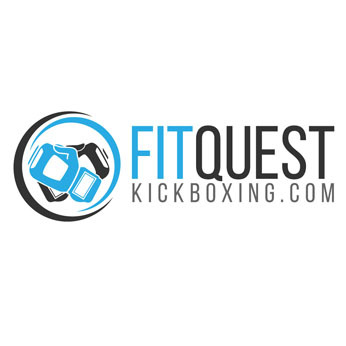 Mr. Finke established the Karate Quest Dojo in Warwick in 1996 and then in Port Jervis in 2011. His primary instructors have included Teruo Chinen, Hanshi, a world-renowned teacher of Okinawa Goju-Ryu Karate-Do who is the chairman of JUNDOKAN International; Robert Herten, Hanshi, a highly-regarded instructor of Okinawa Shorin-Ryu Karate-Do and Okinawa Kobudo who was Mr. Finke’s first primary Kobudo (Okinawa Weapons) teacher; Roger Wehrhahn, Kyoshi, a highly regarded teacher of Iaido (Japanese Swordsmanship) as well as Okinawa Goju-Ryu Karate-Do and Okinawa Kobudo; and John Stellingwerf, Hanshi, Goshin-Ryu Karate, who was Mr. Finke’s first martial arts instructor. He’s also been influenced by Ron Gaeta, Kyoshi and Ed DiNardo, Kyoshi. Mr. Finke has had a very successful career as a Karate tournament competitor at the regional, national and international levels. Some highlights include earning silver medals at the Amateur Athletic Union (AAU) National Karate Championships in the years 2000, 2001, 2006 and 2009 in age 19-34 Male Black Belt Kumite (sparring). 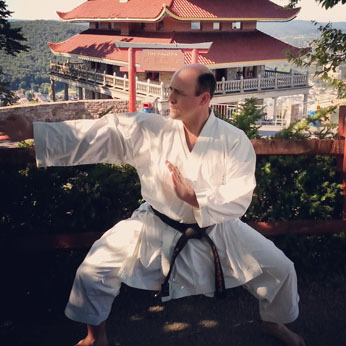 Mr. Finke has also won many state and regional level Karate Championship in kumite, kata (formal exercises) and kobudo in both the AAU and USA-National Karate-Do Federation(USA-NKF). He’s also won over 30 Grand Championship Awards in tournament competition along with hundreds of other trophies and medals. 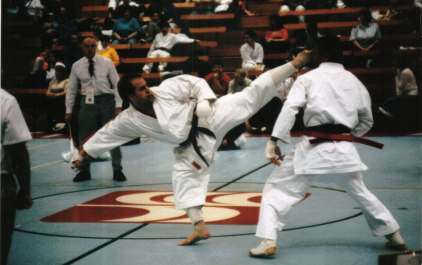 Another highlight was, sponsored by the AAU, representing the United States in international competition as a member of he U.S. National Karate Team at the 1998 World Karate Organization (WKO) World Championships (where he captured a bronze medal in Adult Black Belt Male Point Kumite). Mr. Finke, who has been certified as a judge by the AAU and World Karate Federation, has served as a referee at many local, AAU and USA-NKF events as well as at the 1998 WKO Junior World Karate Championships. He was also the co-promoter for the All-American Karate Championship in Hamburg, NJ 1996-1998. 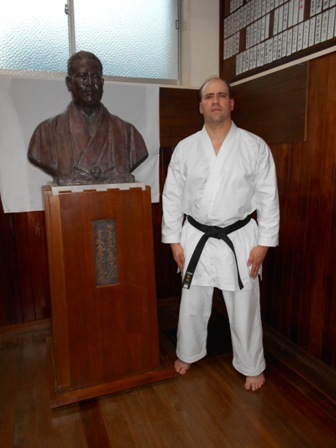 Mr. Finke traveled to Naha, Okinawa, Japan in 2013 to participate in the JUNDOKAN 60th Founding Anniversary/60th Memorial Chojun Miyagi/15th Memorial Eiichi Miyazato and to train at the JUNDOKAN So Honbu (world headquarters) and Okinawa Prefecture Budokan as part of a group led by Chuck Merriman, Hanshi. 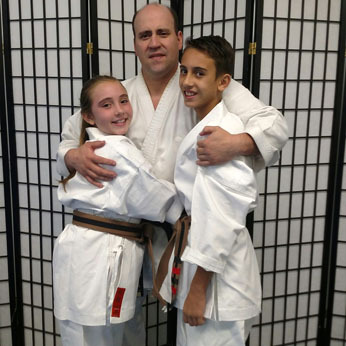 Mr. Finke has taught the martial arts full-time since graduating from William Paterson College (with a B.S. Degree in Business Administration/Marketing) in 1994. He resides in Orange County, NY with his partner Donna and their two children Glenn Jr. and Daisy. In addition to his active martial arts training and teaching he is also an avid weight-lifter and toy collector. The teaching staff at the Karate Quest Dojo are all students of Mr. Finke’s who are not only graded as Black Belts but in most cases have over ten years training experience. In addition to regular training in the martial arts they also attend special instructor training on a constant basis. This is to ensure that all instructors and support staff are up-to-date how to communicate with and motivate the students at the Karate Quest Dojo facilities. Although each instructor teaches the same structure and curriculum each instructor brings a unique personality and training experience to the table…with the goal to motivate and educate the students at the Karate Quest Dojo. Thank you for reading. See you in class!